Ohhhhhh. I want. You can’t tease us like that! Sweet… nothing like finding the perfect Vanilla only to discover you will never have it again. Meh it’s probably not that great anyway. Exactly , no point in building a recipe around that! I do hear that DIY Flavor Shack has a Holy Vanilla that is great and more importantly available! I’ve heard equally good things about there french vanilla. 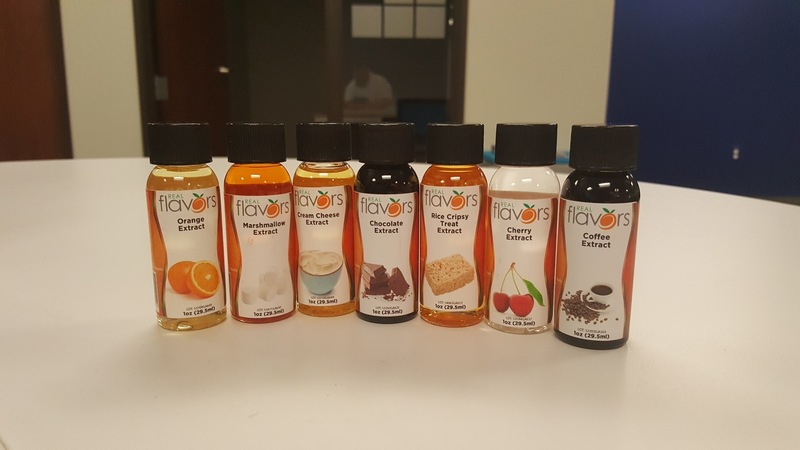 DIY Flavor Shack has a Holy Vanilla that is great and more importantly available! I hate to comment about it here, but I got some HV a few weeks ago and it is great. Very vibrant and stands up very well in mixes. Lol @Pro_Vapes you are fine. How much would it be for a 10ml? Is it more concentrated like the raw extracts? Some of us wouldn’t mind paying more, as concentrates equal out in the long run as you use less. Or is even small amounts exorbitant? Reminds me of the commercial where the guy in hip waders has a dollar tied to his line. I understand but @Walt_RealFlavors knows I still love him as long as he keeps making French Toast , Shamrock Shake , Cinnamon Custard , Cookies and Cream, Cinnamon Toast , Sugar Cookie , Apple Pie, etc. etc. etc. Although he best be finding a way to get that Powdered Sugar he promised on the shelf and stop making us beg for French Vanilla Cream! I can send you a sample and let you test it. It just is so close to brown sugar that I never released it. I am going to get an order put together later tonight or Monday , I will include a note to throw it in if that works for you. I am hoping to see the “nectar of the gods” French Vanilla Cream listed when I start shopping as well! I need to mix some more of this like yesterday. Stuff is soooo good. I can’t wait to perfect adding a bit of some cream and sweetener to make it a double stuff. Stuff is soooo good. I can’t wait to perfect adding a bit of some cream and sweetener to make it a double stuff. I know right! Let me know what you come up with , maybe @Walt_RealFlavors could possibly be talked in mixing us up a Double Stuff Oreo , errr… I mean Cookies and Cream ! It is crazy good !!! Maybe a touch of Caps Butter Cream with little sweetener? Let the fun begin… @Walt_RealFlavors - you guys so totally rock, thanks for letting me come in and buy a few of these from you! Plus he got to smell the top secret vanilla!!! Seriously guys, that Vanilla was truly spot on - from the earthy tones to the light sweet odor. It was really delicious - and that’s just from the smell.